Heat oven to 350°F. Put bottom crust into pie plate. Unroll remaining crust on a cutting board; cut into 1/2-in.-wide strips. Cover with plastic wrap; refrigerate. Mix sugar and cornstarch in a medium bowl. Add cream cheese; beat with mixer on medium speed until smooth. On low speed, beat in egg and extract until just blended Spread batter evenly in crust; spoon pie filling evenly over top. Beat egg white with a fork until foamy. 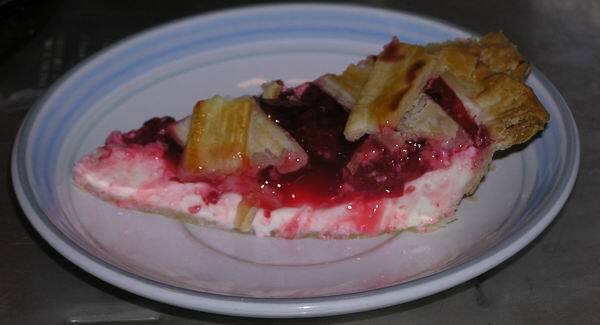 Brush on pastry strips. 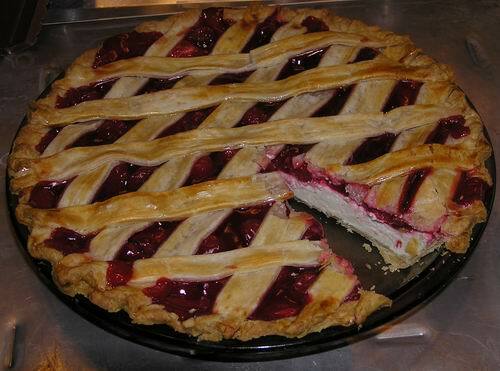 Arrange about 8 strips evenly spaced across pie filing. Place 8 more strips diagonally over first strips to form a lattice (discard remaining strips). Trim and press ends to bottom crust. Brush rim with egg white. Bake 50 to 60 minutes until crust is golden brown and cherries bubble. Remove to a wire rack to cool. Serve warm, at room temperature or cold. Refrigerate covered. Oh wow, what a delicious combo of two fantastic desserts. I've never seen anything like this before, but it sounds so good. 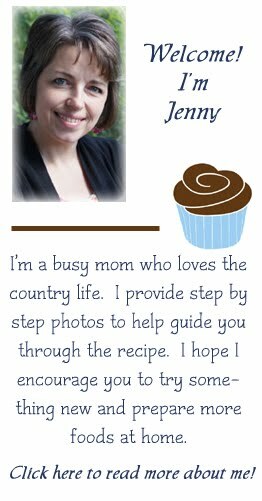 I have a weekly sweet treat linky party on my blog called "Sweets for a Saturday" and I'd like to invite you to stop by this weekend and link your pie up. That looks great and easy! I could make that this weekend. G'day! Two of my favorite combinations Jenny, true! I'll send it right over Joanne!